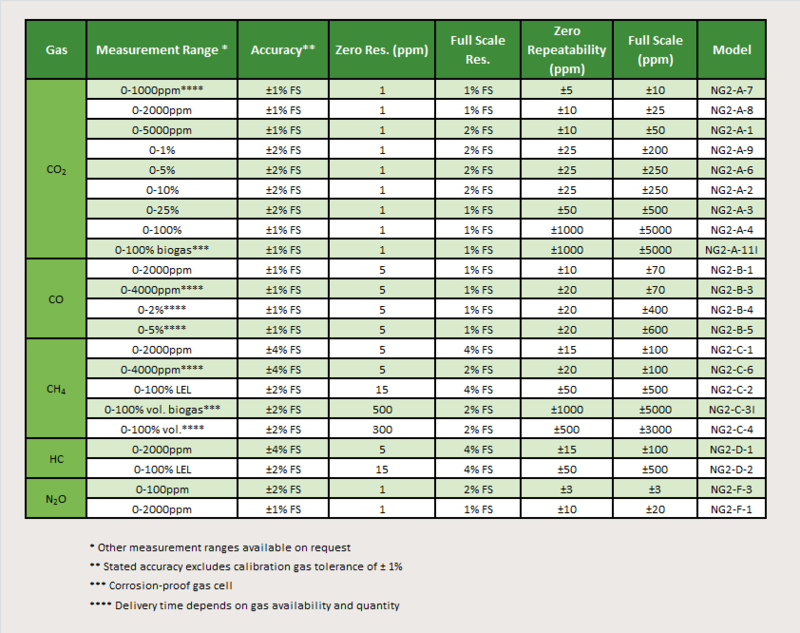 The gas and the measuring ranges of our gas sensors are listed in the table below. For all models, the cell can be selected for corrosive environments. Depending on the model, the size of the sensors varies from 56mm x 48mm x 38mm to 306mm x 48mm x 43mm. Performance, gas and measurement ranges are continually updated thanks to continued investment in research and development. Please contact us for more information, datasheet, etc.